Sometimes it's frustrating to play your favorite iPhone game, no matter how good the controls may be. There's something to be said about tactile controllers over touch controls, especially when it comes to mobile devices. Luckily, phone accessory creators know this, and have devised several ways to overcome these problems. 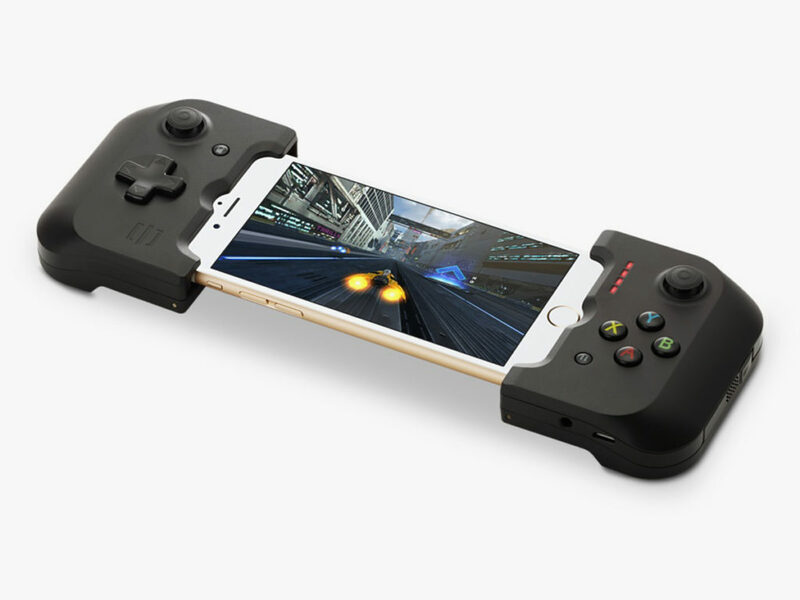 The $100 Gamevice is one such way, which offers an excellent way to soup up your iPhone, iPad mini, and iPad Air if you need a little extra when you're playing games that require a little more than simple tapping or sliding. It features a D-pad, dual analog joysticks, four front triggers, and four face button as you'd find on any modern controller. You can even control it via microUSB if you're not into charging it alongside your iPhone with the built-in Lightning connector. As far as compatibility goes, it supports over 800 games, but that is unfortunately quite a small number when it comes to the sprawling amount of titles on the App Store. Luckily, that list is always growing, and you can cross-reference which games will work and which ones won't with the official Gamevice Live app. Even if you only get a few games to try it out on, it's still worth checking out. Sometimes all you need to improve even games you already enjoy is something simplistic like this thing.